Gym area is most definitely one of the most attractive parts of Biotrening centar. It is equipped with to-of-the-range Life Fitness apparatus that set new quality standards within the fitness world. Immediately at the entrance you must notice the multifunctional „Sinergy 360°“ which provides 8 exercise points and thus provides ideal conditions to perform a circuit training and immense possibilities. Treadmills from our cardio part will take you to another part of the globe by simulating tracks that you feel most suitable. To avoid monotonous running, while running you can watch your favourite TV show, YouTube video on the screen in front of you. You can even play a game of chess if you want. After you finish your cardio practice on a treadmill, bicycle or escalator, you will find yourself amid a world of fitness apparatus which will help you perform your strength training. 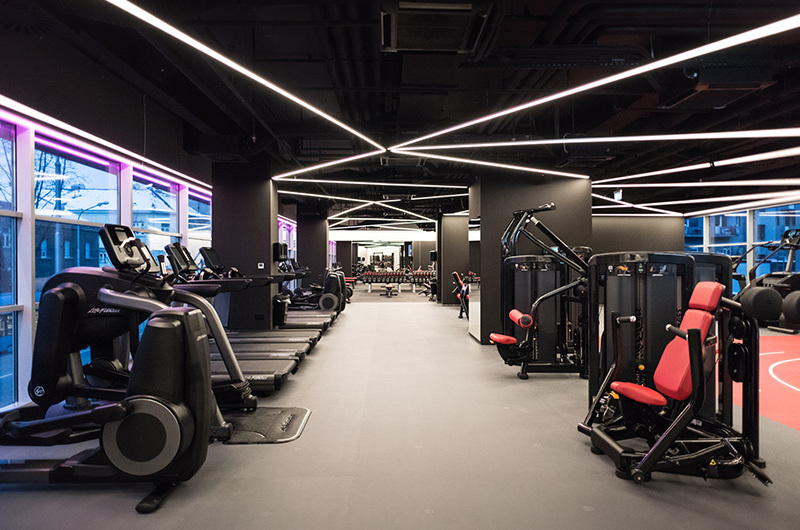 Each weight lifting machine shows the number of repetitions and measures the duration of your training, and by scanning the QR code from the machine you will get a complete training programme that you planned for each machine through the Life Fitness Connect application. We also have a professional team of trainers who will explain to you all the possible ways of using the machines.